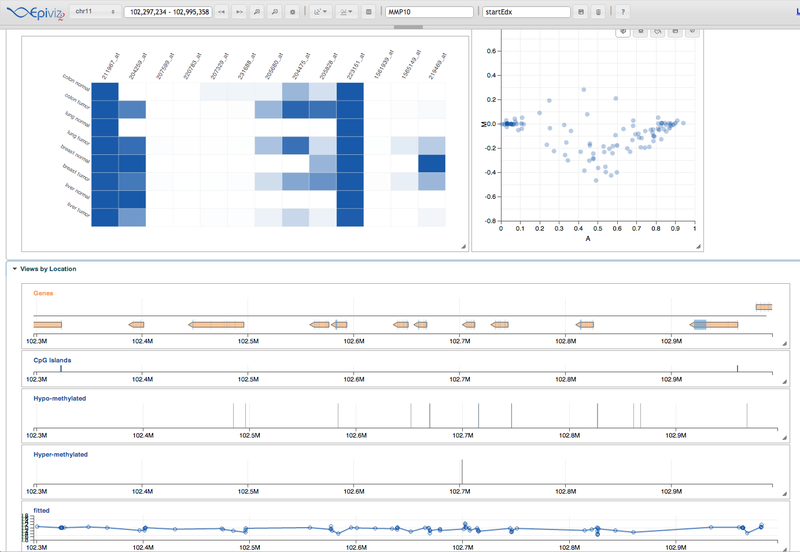 Here we show how to visualize the results of your methylation data analysis in the epiviz interactive genomics data visualization app. 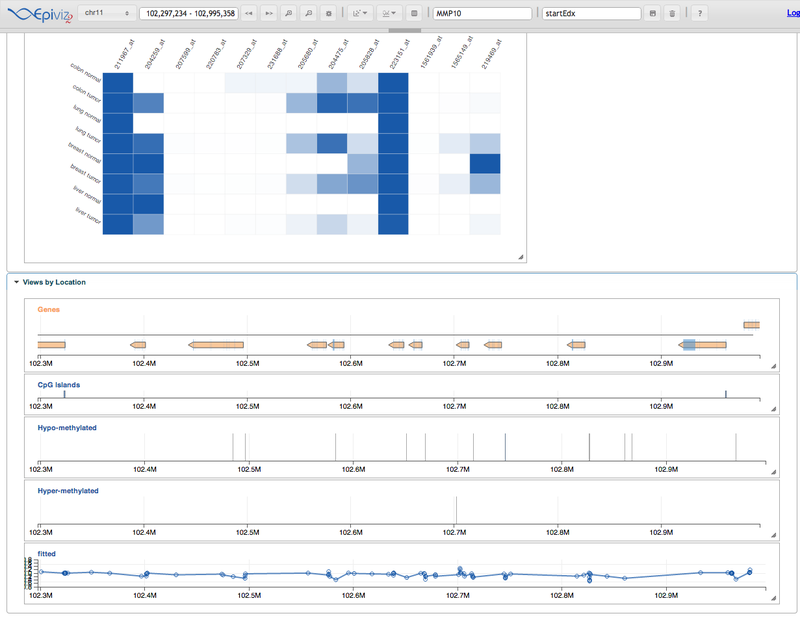 To plot your data there we use the Bioconductor epivizr package. We assume you already ran the methylation lab. The following code is used to populate the environment with the necessary objects. Please see the methylation lab for description of what these functions are doing. Non-Windows users don’t need to do this. Go to your browser and navigate around, search for your favorite gene and take a look at gene expression looks like around these regions according to the gene expression barcode, which we preloaded when we started epiviz. Here’s some interesting ones: “MMP10”, “TIMP2”, “MAGEA12”. There’s a lot more you can do with epiviz. It’s a fairly flexible visualization tool. You can find out more about it in the epiviz documentation site.